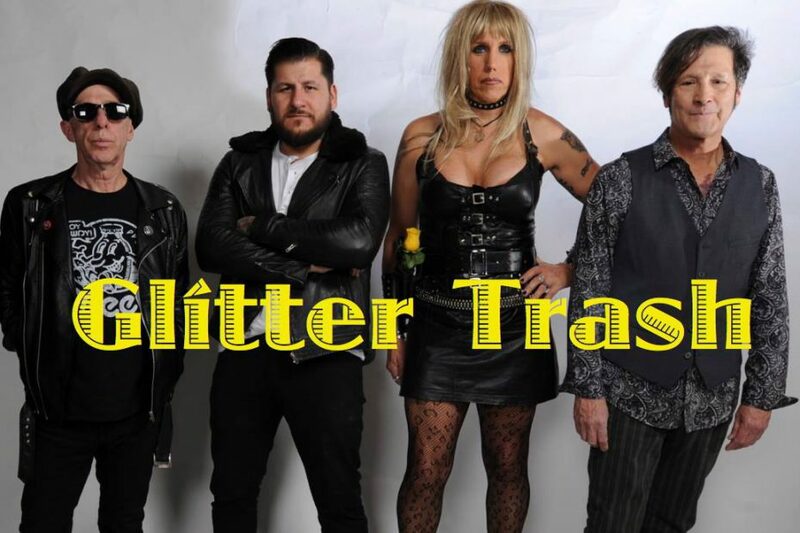 GLITTER TRASH is a rock band that originated from Detroit’s apocalyptic post-industrial streets. The band brings the audience hard driving rock reminiscent of the sound coming out of late 1970‘s New York CBGB’s and London’s punk scenes. Their wild, spontaneous and in-your-face live stage shows draw comparisons to their musical forefathers, The Stooges and MC5. The band’s stripped down music presentation and approach to their songs take listeners back to simpler times when larger-than-life personalities, great music and energetic shows were the status quo. The band recently relocated to Los Angeles in late 2017.